You are the leader of one of the 7 great cities of the Ancient World. Gather ressources, develop commercial routes and affirm your military supremacy. Build your city and erect an architectural wonder which will transcend future times. 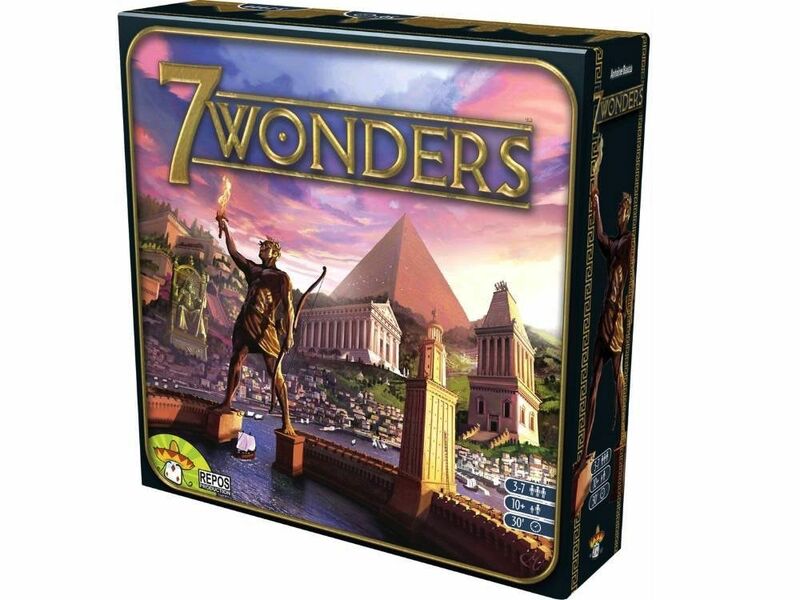 With beautiful art, fourteen different wonders and a dizzying array of strategic options, 7 Wonders is a simple and addictive game the whole family can enjoy. In just half an hour you can raise your civilization to the mightiest heights, and build the greatest wonders of the world!